After the defeat of their old arch nemesis (the Shredder), the Turtles have grown apart as a family. Struggling to keep them together, their rat sensei, Master Splinter, becomes worried when strange things begin to brew in New York City. Tech-industrialist Max Winters is amassing an army of ancient monsters to apparently take over the world. And only one super-ninja fighting team can stop them – those heroes in a half shell – Leonardo, Michelangelo, Donatello and Raphael! 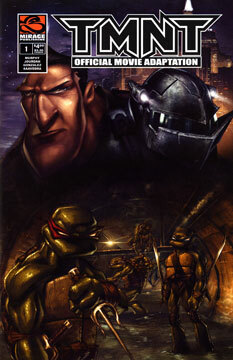 With the help of old allies April O’Neil and Casey Jones, the Turtles are in for the fight of their lives as they once again must face the mysterious Foot Clan, who have put their own ninja skills behind Winters’ endeavors..